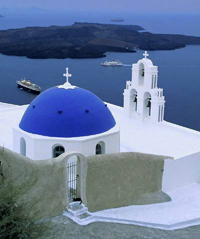 Removals to Greece Greek Removals with K & A International. There’s a lot to think about when you are moving home, especially when your new home is in another country. At K & A International, we understand that this can be a very stressful time for you and we pride ourselves on offering a professional home removals service between the UK and Greece, so that you have one less thing to worry about. Wherever your new house is, it won’t become a home until you’re surrounded by the things you love, so we’ll take care of your possessions every step of the way and transport them safely to your new home. You’ll get our personal attention throughout your move and we are always available to offer help and advice. We also have a professional freight service for fast and convenient shipping of anything from a single item of furniture to a full load of commercial goods. K & A International are a Greek owned company based in the UK, so we have all the expertise required to manage your house removals and freight transportation between England and Greece. We are highly respected within the UK removal industry and many other removal companies use our services safe in the knowledge that their clients personal effects are relocated by true experts with unrivalled connections in Greece. With 3 weekly departures our service guarantees prompt collection arrangements throughout Great Britain and the quickest delivery times to any part of the Greek Mainland & Islands. Athens, Thessaloniki, Piraeus, Patras, Heraklion Peristeri, Larissa, Kallithea, Nikaia, Kalamaria Glyfada, Acharnes, VolosIlio, Keratsini, Ilioupoli Nea Smyrni, Chalandri, Marousi, Zografou, Aigaleo Agios Dimitrios, Korydal, los, Evosmos, Nea Ionia Palaio FaliroIoannina, Agia Paraskevi, Vyronas Kavala, Galatsi, Rhodes, Serres, Alexandroupoli Chania, Chalcis, Petroupoli, Katerini, Kalamata Trikala, Xanthi, Lamia, Irakleio, Komotini, Kifissia Sykies, Veroia, Chaidari, Drama, Agrinio, Stavroupoli Alimos, Polichni, Ampelokipoi, Kozani, AspropyrgosAgioi Anargyroi, Argyroupoli, Karditsa, Chios, Nea Ionia Vrilissia, Agia Varvara, Corinth, Cholargos, Voula Rethymno, Ptolemais, Neapoli, Metamorfosi, Ano Liosia Mytilini, Giannitsa, Eleusis, Salamis, Tripoli, Perama Kerkyra, Kaisariani, Argos, Kamatero, Eleftherio-Kordelio Megara, Melissia, Pylaia, Moschato, Nea Philadelphia Artemis, Thebes, Pyrgos, Kilkis, Levadeia, Pefki, Aigio Amaliada, KosNaousa, Arta, Edessa, Elliniko, Gerakas, Koropi, Preveza, Panorama, Peraia, Oraiokastro Nea Erythraia, Orestiada, Thermi, Kalyvia,Thorikou Pallini, Menemeni, Sparta, Agios Ioannis Rentis Florina, Nea Makri, Paiania, Dafni.